AMA’s Kickboxing Program is featured until midnight tonight (Tuesday 1/25/11) on Groupon.com. Check it out and please share the link with anyone who might be interested. 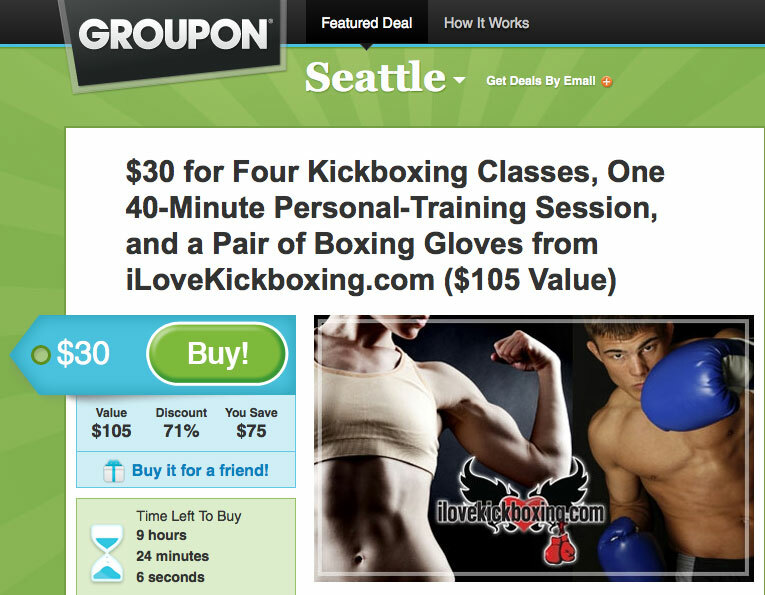 Visit the following link for more information about the Alpha Martial Arts Kickboxing Program or visit our I Love Kickboxing Seattle website for a special online offer.